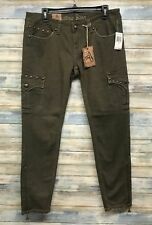 Army green color picture may show a different size. Leg opening Laying Flat 5 ". Size 26 x 30" Inseam. Ankle 6 1/4". Thigh at widest part 8 1/2". 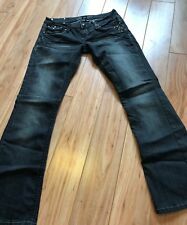 Antique Rivet straight leg with a slight flare distressed jeans in a size 29. Inseam 30. Leg opening 8". Made of 98% cotton and 2% spandex. 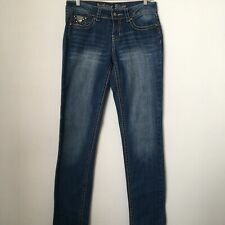 Jeans are in excellent condition. Toddler, kids, Baby. Black Color. Button Closure. Good condition. 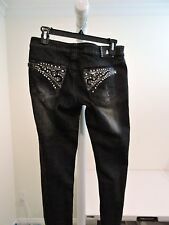 Beautiful bling boot leg jeans. Thick stitch, Brenda style, Lennox wash, 30in inseam. 25 in.26 in.27 in.29 in.